In Bikram and other yoga practices, teachers speak a lot about using core strength in specific postures to help us express them correctly. We always want to get the most out of our practice, and simply sucking our stomachs in makes a huge difference when we’re trying to balance. It is also an incentive for a flatter, toned stomach. But using core strength isn’t just about “sucking your stomach in, contracting your abdominal wall or contracting your abdominal muscles,” as Bikram Choudhury would say. While engaging the abdominal muscles and contracting them gives those muscles a nice workout and provides fresh blood to organs like the kidneys and liver, core strength is more than that. What we don’t always realize is that core strength is beyond a toned stomach, six pack abs or keeping balance in Balancing Stick. Core strength also has other meanings in our lives outside of the yoga room. 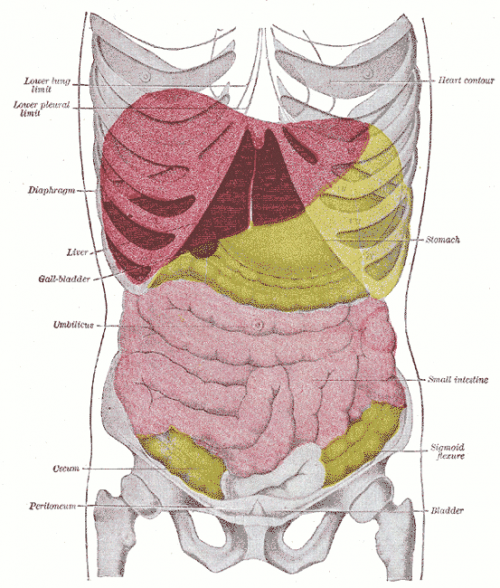 In a health sense, the core houses most of the immune system, particularly in the colon, which is the center of health. When we nourish the core with probiotics, healthy food and other nutrients, we have more than just flatter stomachs (and those abs so many of us want), we also strengthen our bodies’ abilities to fight disease and sickness. Healthful practices like cleansing and colonics are great ways to rid the core of bad bacteria, extra water weight, mucus and fat. Cleansing in particular, replenishes the body with herbs and good bacteria that helps the colon, liver and kidneys function correctly. When we have healthier immune systems and healthier digestion, we feel physically and mentally lighter and we’re in better moods. Our yoga practices are improved as well, as we are able to stretch a little bit further in our postures, and we can balance better. In a spiritual sense, the core is also known as the power center or solar plexus. The power center also keeps us in balance, but not just in a physical sense. The power center is the source of our energy, self-esteem and confidence. Belief in ourselves keeps us in balance with our outlook on life, and it’s our motivation to take action in new endeavors. When we’re in tune with our power, we are in tune with our will, belief in ourselves and what we do. We’re also energized and active people. The core is also about intuition and those gut feelings we get in certain situations. Sometimes that hunch we get about something is from our core as well. When people speak of “trusting your gut,” it’s also about trusting our power in making the right decision. We know our power center is out of balance when we’re fearful, have low self-esteem and confidence, and we’re unmotivated. This can also show up physically when we’re mentally tired or worn out. The truth is: strengthening our power center spiritually is always a work in progress. Past life experiences, current situations and family life, among other things, all have an effect on how we feel about ourselves. But part of strengthening our power center is drawing from our inner will to change our circumstances for the better. When we look at core strength outside of the yoga room, it’s the most essential part of our lives. A strong core is not just what helps keep our balance in a posture, it keeps us alive, healthy, happy and trusting in ourselves. There are many factors that affect the health of our core, but as long as we keep it in balance, all aspects of our lives are in balance too. Micah Simon is an introspective yogi who believes life should be adventurous, inspiring and abundant. She is a writing and health enthusiast who enjoys traveling, food and spending time around the water. Read more about Micah, her travels, perspective and the art around her work on her website. You can also contact her via email.